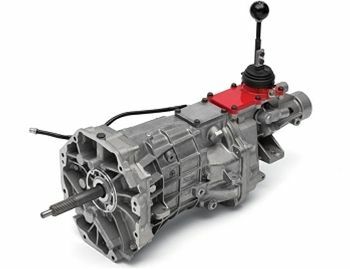 The T56 is a high-torque capacity TREMEC six-speed manual designed for custom, retro-fit installations with Chevrolet Performance crate engines. Featuring a 700 lb.-ft. maximum torque capacity, the T56 has an exterior case similar to the fourth-generation F-body transmission. The T56 also includes stronger, high-capacity gear sets, input shaft and output shaft used in the TREMEC TR6060.